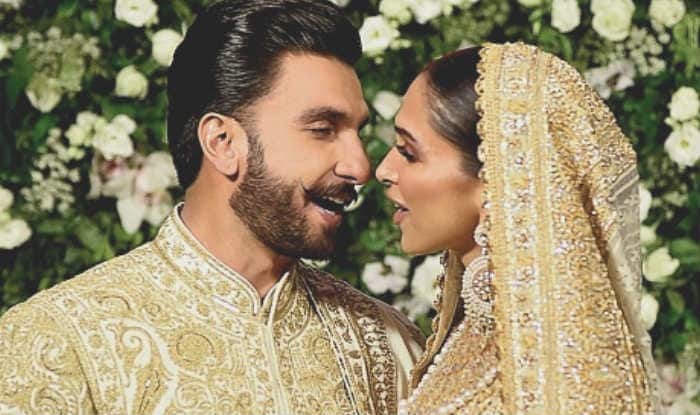 Ever since Deepika Padukone and Ranveer Singh tied the knot last year, the couple is not shying away from displaying their affection for each other on social media. Recently, the couple commented on a picture from their wedding and was all praise for each other. Deepika and Ranveer have each others back and have always supported each other in every way possible. 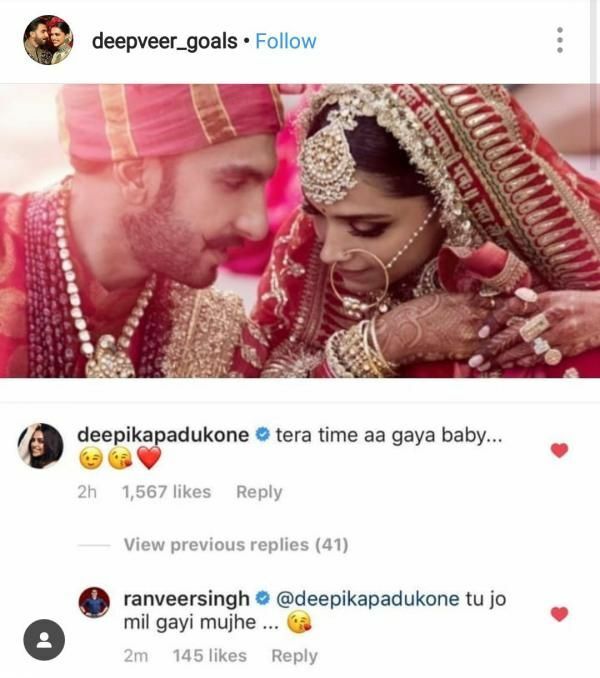 In a picture from their wedding shared by some fan page, Deepika commented saying, “tera time aa gaya baby..” Husband Ranveer replied by saying, “tu jo mil gayi mujhe …”. The two are head over heels for each other and it is pretty evident from their posts. Earlier today, when Ranveer was giving an interview to India Today, his wife Deepika called him on FaceTime and said, “Hi baby, you are looking handsome.” Before tying the knot, the couple dated for many years but did not make their relationship official until their marriage. Now that the two have exchanged vows, they just cannot get enough of each other and do not shy away from praising each other.